For those of you new to scripting, I’ve included screenshots to accompany the commands so you can see whats going on in the GUI. So first off we need to setup Jumbo frames in a few places. As per VMware ESXi 5.0 and above, you need to also setup iSCSI Port Binding. How to setup Veeam Direct SAN Backup over iSCSI – Unleash the Speed! 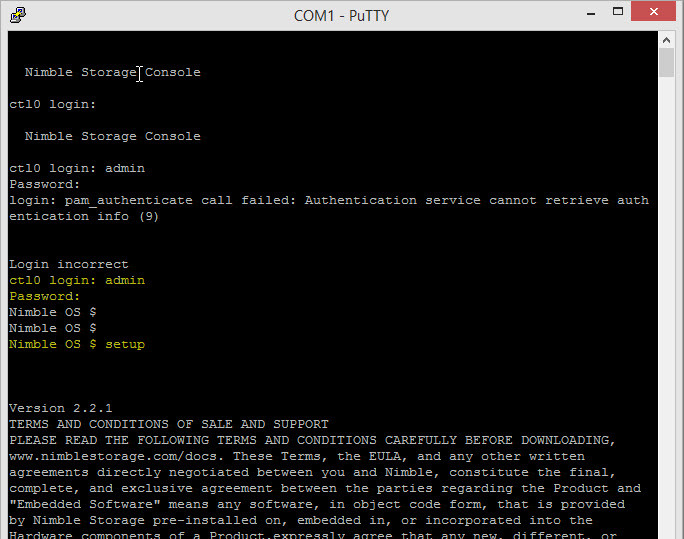 On twitter Rick Vanover posted this link, which intrigued me, giving your Veeam Server access to the VMware VMFS volumes for quicker backups. Sounds dangerous, or maybe it isn’t! So I tried it, and I managed to cut my test backup times from 24 minutes to 12 minutes! Also the snapshots are removed from the VMs within seconds. 1. 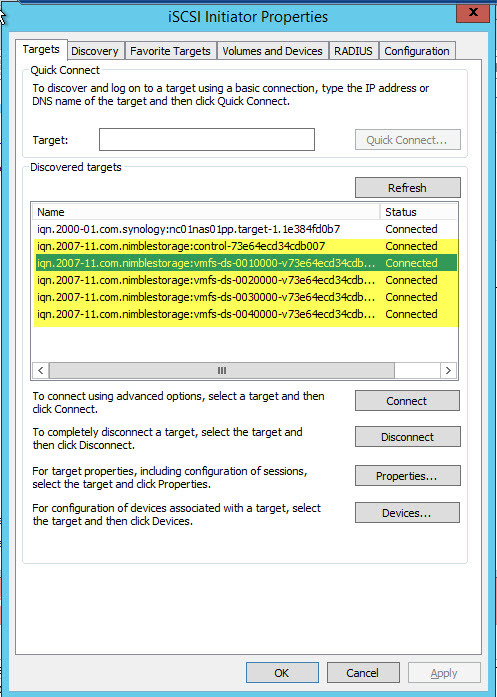 Setup iSCSI initiator on your Windows Veeam server, and get the IQN info. Setup your NIC’s in the correct VLAN for the iSCSI access and with an appropriate IP address. 2. 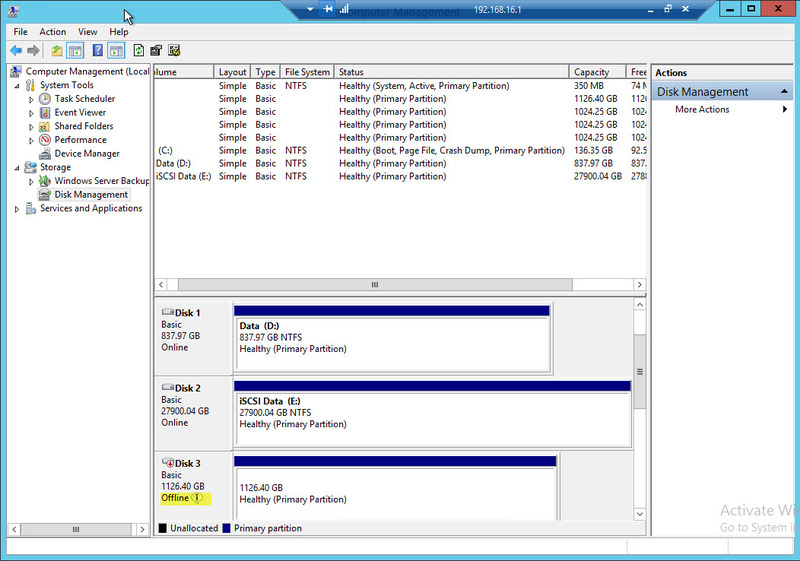 On the storage device, allow access to the necessary volumes from your Veeam server. If possible, set it for read only access! (Here’s me setting up access for a Nimble Device). 3. 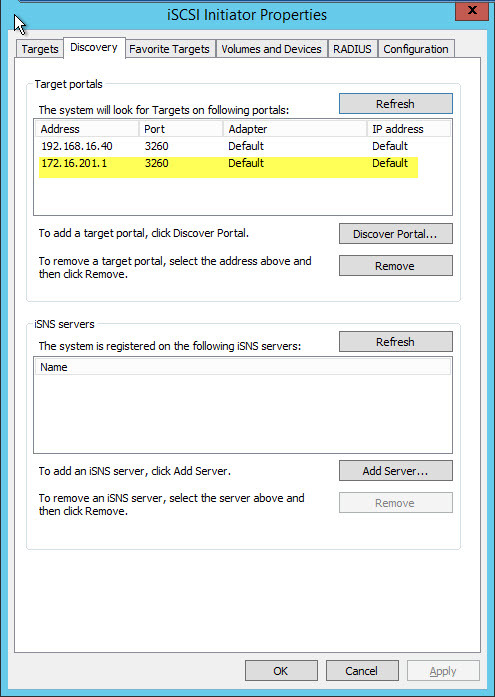 In the iSCSI initiator dialog box, add in the iSCSI discovery IP, and ensure all your volumes show. 5. Open up computer management and you should see that you now have disks showing from the Storage Array, for me, I had to click these to “Online” otherwise Direct SAN access wouldn’t work. 6. 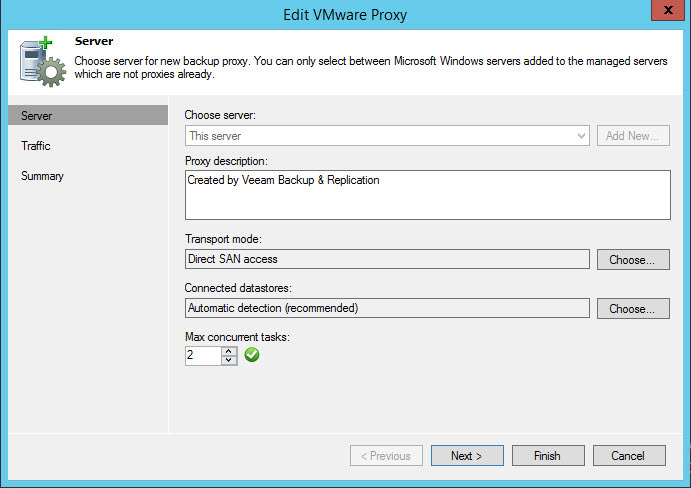 Within Veeam I then changed my Backup Proxy settings to only use “Direct SAN” mode so that I could test it and ensure it was working. 7. Run a backup and enjoy faster results, here’s my before and after shots (the second run I ran “Active Full” as the job is set to do reversed incremental). 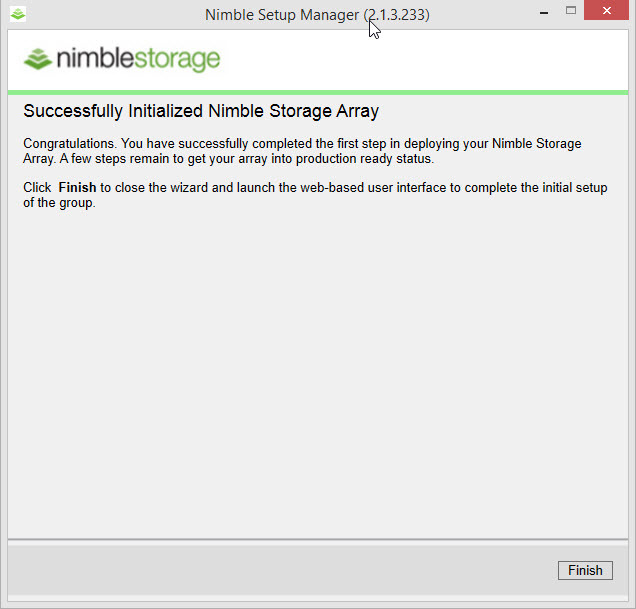 So the last time I used a Nimble Device, I had to configure it (quite easily) using the CLI first due to connectivity constraints at the customers site. 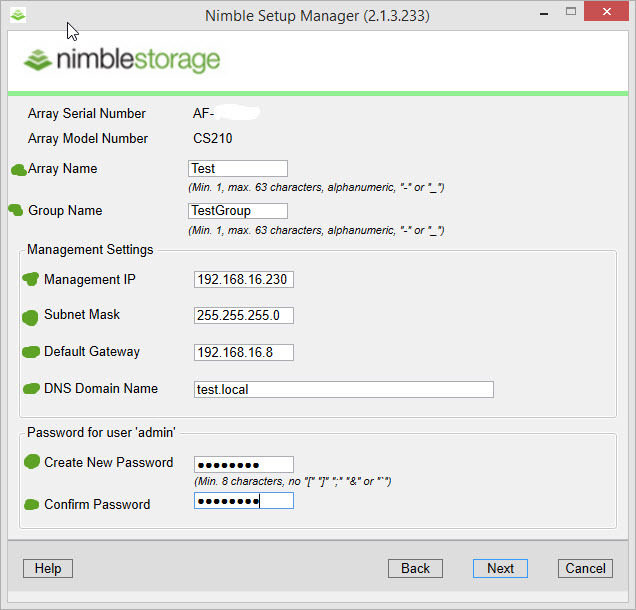 However here is how to configure a Nimble in 4 easy steps ready for production use. 1. 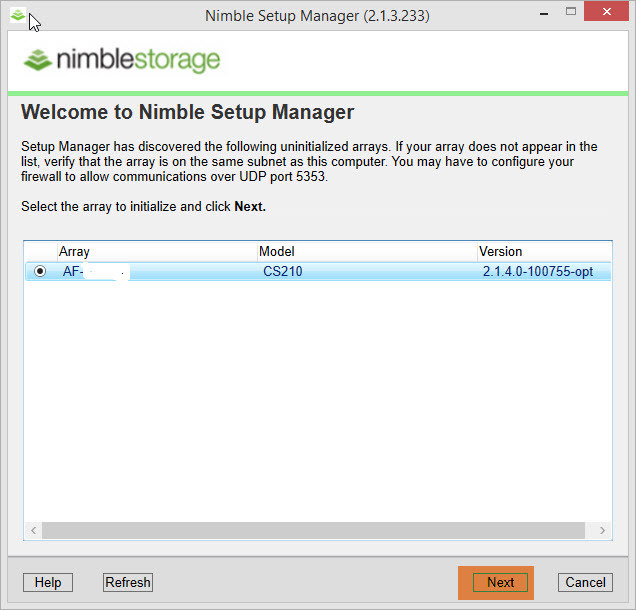 Load the “Nimble Setup Manager” which can be downloaded from Nimbles website. Search for your Nimble on the Network (Obviously be in the same VLAN!). 2. Enter your basic network settings and click next. 4. 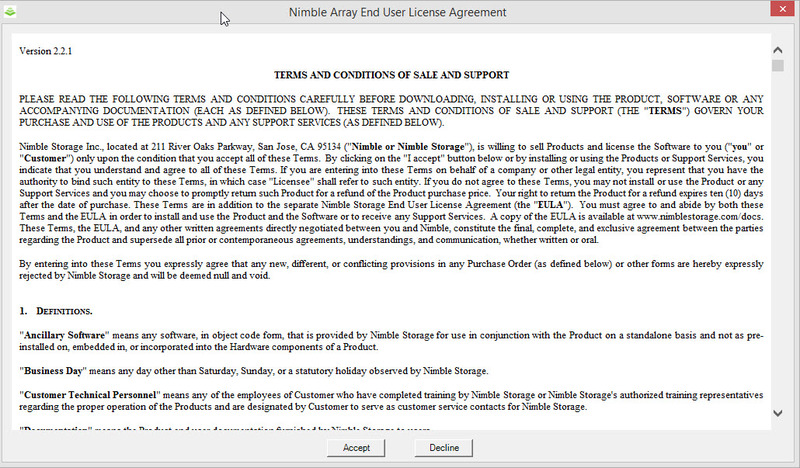 Accept the EULA, and you are done, you can now connect to you Nimble and setup the Production side of things, which is basically the same as this article. 1. Rack your device, cable it up, and power it on. 2. Connect the proprietary cable, and then your Null Modem cable to the serial port.